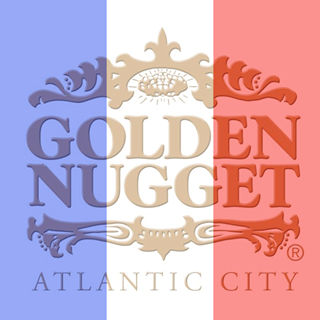 Golden Nugget Casino, Hotel & Marina, winner of the AAA Four Diamond award, is a premier resort destination located in Atlantic City's Marina District. Golden Nugget features 700 beautifully remodeled rooms, 72 gaming tables, 1,500 slot machines, 10 live poker tables, and bar-top video poker at Bar 46. We have 11 Landry's Inc. restaurants on property and 11 retail outlets all owned and operated by Golden Nugget. Our seasonal H20 Pool & Bar and 45,000 square foot event lawn is second to none. Golden Nugget Atlantic City is also home to Atlantic City's ultimate nightlife destination: Haven Nightclub. Self-parking at our casino, hotel and marina is free all day every day. It's the complete resort experience, from the professional and friendly staff to the country's top restaurants, luxury accommodations, 24-hour gaming, boutique shopping and a world-class spa and salon. We are the marina experience you will never forget!